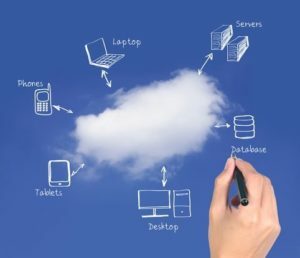 Benefits of Cloud Services – Fact or Fiction? When researching the benefits of cloud services, you can't believe everything you read on the internet - there are many misconceptions. Some common misconceptions of the cloud are the pros and cons of its cost effectiveness, mobility, scalability and security. But what is really true and what is not? When considering a technology change for your business, you want to take a closer look at everything so you know you're making the right decision. CTG Tech hopes to help clear some of your confusion so you are equipped with the information you need to make your decision. You deserve the truth if you are considering turning down this road and CTG Tech is dedicated to helping you - by equipping you with thorough information and answering any questions, you can feel more comfortable making a decision. One of the most discussed benefits of cloud services is cost effectiveness. They say, "It is more cost effective because you won't have reoccurring hardware, maintenance and management costs." Fiction - It could be more cost effective. The capital and operational expenses need to be considered and examined. When you move to the cloud you will save on capital expenses, but will face never-ending operational costs. It's similar to leasing a car vs. owning one. On the other hand, you could be leaving behind the costs of hardware, maintenance, and management for a higher electric or internet bill to efficiently run the cloud. "Scalability," they say, "is a great benefit of cloud services that allows you to easily scale up or scale down." Fact - The option to change the amount of space you need easily is a benefit you can't deny or argue with. You pay as you go which saves you money by ensuring you don't buy more than you need and may never use! "The Cloud is more secure," they say! Fiction - The security of the cloud and everything in it is directly influenced by your employees and their own security measures. The cloud infrastructure alone is more secure then others, but when you allow end-users access to the cloud, just like if you allow end-users access to anything, you risk security. Nearly 90% of security breaches stem from some kind of end-user error, most of the time by falling for a phishing attack. The Office 365 breach last year that impacted millions of accounts was caused by just that! No matter how secure a service or application claims it is, it is only that secure without accounting for end-user mistakes. End-users may make mistakes, but they say, "with the cloud your employees are readily available to work and collaborate with coworkers from anywhere." Fact - As long as an internet connection is available, your employees are available to work and collaborate easily and instantly from any device! of the way to decide if the cloud is right for you. We will work with you and the specific needs of your company to provide you with different options and implement them for you seamlessly. CTG provides Managed IT Services to many clients in and around DFW and the Amarillo Area. With our all inclusive services you get to take advantage of unlimited IT Consulting for one flat monthly fee. Contact us today and find out about our Cloud IT Services and see how it can streamline your business. If you’d like to see first-hand how CTG’s IT Services improve your workplace, sign up for a free consultation! Kami is the Social Media Director at CTG Tech. She enjoys finding intriguing stories to tell the IT world about and explaining things in her own words. She has a daughter and loves spending time with her family and friends. A few of Kami's favorite things are football, Elvis, and writing.